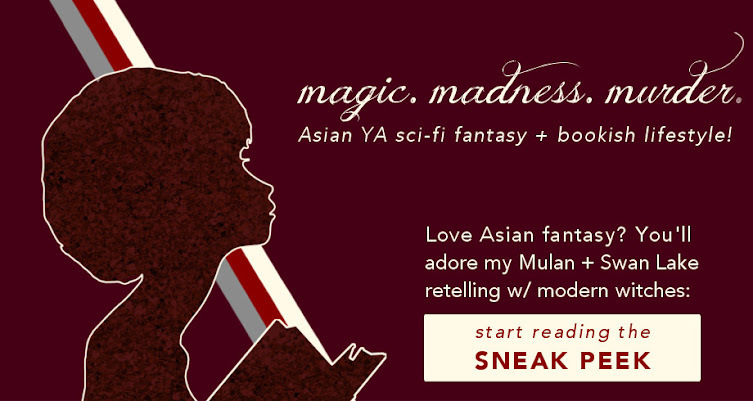 Delivery Fangirl is an original blog feature on The Devil Orders Takeout, featuring questions from my favourite books and movies, preferred heaadcanons, and the importance of diversity. The entire idea is to find a person whom you follow and admire, then follow some of their followers. It's not a new concept by any means, but #Followception isn't just about clicking a button; it's about getting to know more of the community. So if you love Marvel and you see Marvel Fangirl is followed by DC Fangirl, you might wanna rethink following DC Fangirl in this context. The point is to find your kindred spirit by taking 5 minutes out of your day each week, choosing a person you admire with similar interests, and taking a look at their Twitter/blog followers. #Followception is an especially useful tool if you're new to the fandom and have no clue what to do, because this way, you can learn from the best. Meet new people in the same fandom or industry with #Followception. I more or less explained this above, but here are some examples of truly marvellous coincidences that #Followception has brought me. Sky, from the above Tweet: I follow Christina on Twitter, who follows Sky on myWriteClub. I also follow Cait's blog, who co-hosts Beautiful People with Sky. Topaz Winters, my takeout and timezone buddy: I follow Christina who follows AnQi, who joined Christina on The Teacup Trail staff, including Topaz, whose blog I follow. Heather, now my CP: I follow AnQi who participated in TCWT hosted by John. Heather participated in TCWT and after mutual comments, I nagged at her until we became CPs. Like in the last example, #Followception isn't just about follows. This could work as easily with comments on someone's fanfiction, aggressively reblogging gifsets, or the like. The important thing is interaction and engagement. #Followception can even help you gain more followers. I once asked Topaz about her stellar marketing efforts and she kindly blogged about her marketing mindset. The key idea is that marketing is about building relationships. And while I stand behind that 120%, it's sometimes difficult to start when you're just an icon in the interwebs. #Followception is about reaching out to new people, finding your fellow fangirls. And once you've found them, the fandom love doesn't stop there. Retweet their messages. Spread the word about their fanworks and blog posts. Talk about them. Everyone loves it when their work is appreciated, and if it happens several times, they might begin to take a look at your online profile and reciprocate. Pass the parcel and the fandom love. Someday, it might be your dream #Followception targets. How do you show your appreciation in fandoms? Have you tried #Followception? Share your takeout in the comments! Help out a fellow fangirl and sign up for my bimonthly newsletter! Update: I wrote a follow-up guest post on Heather's blog about recurring readers. If you liked this post, you should check that one out too! You didn't *nag* nag. It was a mutual thing. XD Anyway, this is awesome and I am lovething it! I don't think I can get to work on it until at least Sunday, but I'm definitely keeping this in mind, just because this idea of community is perfect and awesome. And, it's funny to see how we're all interconnected! IT IS. IT'S A SMALL WORLD. *cue Disney tunes* Sky is indeed awesome! Really love reading The Fangirl Initiative. This is a wonderful idea, Alyssa. I totally understand Cait's comment. Sometimes I get so comfortable with my usual favorite blogs that I don't reach out to find new blogs. I'm not on Twitter, but I do a similar thing with Bloglovin' where I find tons of new blogs to comment on or follow from looking at the profiles of bloggers I already follow. Thank you, Ana! Yes, that's true -- we get stuck in the status quo. (That's why we're in #FanMonth, no? :D) That's definitely another way to do it! Bloglovin' is great in that you can also track your friends' activities and read the posts they saved. I've found a handful of new blogs that way! Okay, first off: THANK YOU SO MUCH FOR LINKING TO MY POST + MENTIONING ME, YOU BEAUTIFUL PERSON. *cough* I should probably follow my own advice a lot more, though, since lately I've been so slack at marketing and playing the followception game and building relationships in the blogosphere. :P Oh well, I'm dedicating tomorrow to that purpose, so thank you so much for the reminder! YOU ARE WELCOME, MY DEAR TIMEZONE BUDDY. But seriously, Topaz, don't worry about "slacking off". The only type of slacking off you can do is by becoming an un-lovely person, which would be quite impossible for you. With everything you're coping with at the moment, it's amazing that you still maintain an online presence, never mind finding new blogs. Enjoy your Sunday of connecting with others, though! Great concept. I love meeting new people, particularly fellow writers online. I can't wait to start doing this! Thanks, Susanna! You can extend this concept anywhere, really, not just Twitter -- I'm going to try it on Figment and/or Wattpad sometime. Hope that you'll find many new online writer friends! Thank you! Yeah, I really wish I knew how important connecting with other bloggers is when I was starting out too, so I'm glad I managed to help you :D Twitter is definitely a fun place for the book blogosphere, but it's not just Twitter, where this can be applied -- you could use it for, say, Bloglovin', or just by looking at other people's blogrolls. This needs to be a thing. Definitely. There are so many awesome blogs out there, if only I could take a little time to find them! YOU SHOULD YOU SHOULD! THANK YOU, NIRVANA :D :D Ooh, what's your Twitter handle? Love meeting new people on Twitter! I'm joining in! I'm so late. But this is such a great idea. I need this now my #FanMonth fan week is over. Thanks, Kat! There really isn't a "joining in" of this, and hence you're not late at all :P -- the response to this has been way more enthusiastic than I expected, so possibly I shall develop a more advanced system. I'm glad you're finding ways to be a fan even after #FanMonth!